Mr. Kluczynski attended Wayne State University and obtained a Bachelor of Science-Management. He then attended Detroit College of Law, Night Division, where he received a Sigma Nu Phi Legal Fraternity Scholarship, was Secretary-Treasurer Student Council and President of the Senior Class. 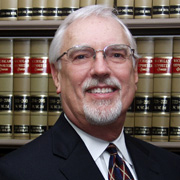 Mr. Kluczynski then attended Wayne State University Graduate School of Law and obtained a Master of Law (LL.M.) in Labor. Thesis: Impasse Resolution in the Public Sector. While attending school, Mr. Kluczynski was employed full-time in the Workers’ Disability Compensation arena. He worked as a medical, surgical and x-ray technician at Midway Industrial Clinics and then became Medical Administrator of Midway while finishing his legal studies. Mr. Kluczynski worked for Gerald Conklin and mentored under Donald Ducey for four years. 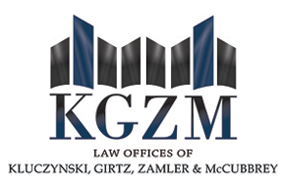 He then started the current firm with Gilbert Girtz and within several years transitioned into Kluczynski, Girtz, Zamler & McCubbrey handling Workers’ Compensation and Liability Defense, Corporate and Management Labor Law and subrogation.